An ESPN streaming service doesn't exist yet, but Disney appears to be paving the way. Disney (DIS) acquired a 33% stake in BAMTech on Tuesday in a deal worth $1 billion. BAMTech was spun off from Major League Baseball Advanced Media. It's a tech company and video streaming company that includes clients such as HBO NOW. That means Disney could use BAM's streaming technology to create a long-awaited ESPN streaming service that Disney could sell directly to consumers -- even if they don't have a cable subscription. "Our investment in BAMTech gives us the technology infrastructure we need to quickly scale and monetize our streaming capabilities at ESPN and across our company," Bob Iger, Disney's CEO said in a statement. "We look forward to working closely with BAMTech as we explore new ways to deliver the unmatched content of The Walt Disney Company across a variety of platforms." BAMTech will also collaborate with ESPN to "launch and distribute a new ESPN-branded multi-sport subscription streaming service in the future" that will include sporting events beyond the current crop of games and programs currently found on ESPN. Also on Tuesday, Disney announced quarterly earnings that beat Wall Street's expectations, in large part because of strong results from its parks and movie studios -- but not as much from ESPN. Park sales rose 6%, despite a mixture of good and bad news regarding two of the company's most sturdy properties. 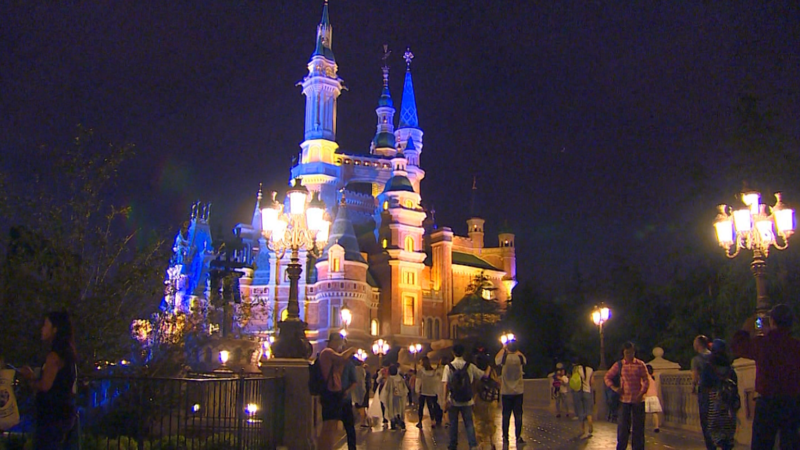 In June, Disney's opening of its $5.5 billion Shanghai Disneyland was mired by tragedy when during the same week a child was killed by an alligator at a Disney World resort in Florida. But Iger told CNBC on Tuesday that the company hasn't seen an impact from Zika virus fears on bookings. As for Disney's studios, the company's movie arm has had the highest of box office highs with May's "Captain America: Civil War" and June's "Finding Dory." But those were met with the lowest of lows with flops like May's "Alice Through the Looking Glass." Yet ESPN continued to lose subscribers. Ad revenue was boosted by game 7 of the NBA finals, but overall sales were up just a paltry 2% last quarter. The company's report comes one year after Iger's comments about subscriber losses at ESPN sent shockwaves through Wall Street. Following those comments, anxiety over cable cord-cutting triggered declines in media stocks including Time Warner (TWX) (which owns CNN), Viacom (VIA), and Discovery Communications (DISCA) all getting hammered on the stock market at the time. Disney shares have fallen 8% this year, and they were down another 1% in after-hours trading. Iger, who has been mulling retirement for years, was asked on CNBC about Disney's much-discussed succession plan. "It will be successful," Iger laughed, not giving any more details than that.